Having lived in the Western Suburbs for many years, Rachel’s immense passion for the region combined with a true love of sales and customer satisfaction really sets her apart from the rest. Rachel brings a wealth of experience dealing with clients and believes integrity, energy and transparency are key in her day to day dealings with people which lead her to great results and satisfied clients. Always open to chat and never short of a smile, Rachel’s approachable nature, warmth and energy allows her dealings with people to be of a comfortable yet professional nature. Up to date market knowledge, impeccable communication skills and a strong work ethic gives her the cutting edge when servicing her clients. 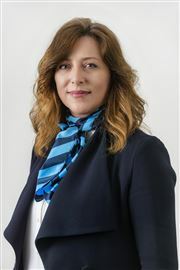 With Rachel as your agent and the strength of the Harcourts Deer Park / Cairnlea office behind you, you can be assured of an exceptional result and service. 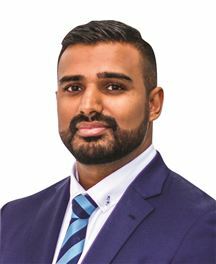 As a proud member of the Harcourts Team, Avin is extremely passionate about the Real Estate industry and providing the best experience possible for his clients. Honesty and integrity, along with determination and dedication, are philosophies that Avin strives for in all aspects of his life. He takes pride in servicing his clients by delivering exceptional service and establishing lifelong relationships. His extensive background in Sales and Management has given him a high level of experience in leadership and professionalism. Avin places his clients first and foremost and ensures to deliver results and get the deal done. Avin attributes his success to his tenacity and his commitment to doing everything possible to make a house sale successful for his clients. Avin is the perfect agent to help you sell your property, or buy your dream home, so look no further and contact him today! Jacob believes that the key to consistently achieving strong results first and foremost involves, listening to his client’s needs throughout the campaign and working with them to achieve their desired outcome. Growing up in the area and being a local resident, Jacobs extensive local knowledge is complemented by his dedication to his clients and his desire to deliver exceptional service. A focused agent and skilled negotiator he is committed to providing a comprehensive customer service to ensure each of his client’s needs are met throughout the whole process. Jacob is always excited to meet and assist new clients - whether buyers or sellers. 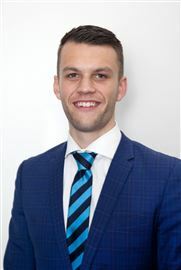 With unrivalled enthusiasm and an eye for detail - Jacob aims to achieve his goal of ensuring that all his clients secure their desired result. He prides himself on being available throughout the entire sale or purchase process and looks forward to building a strong rapport with his clients for many years to come. Jacob and his team offer and refreshing positive real estate experience. 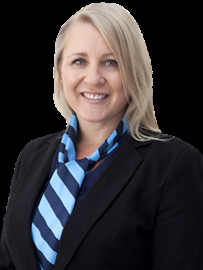 Suzette brings a wealth of experience and is an asset to the Harcourts Melton family. She consistently demonstrates a high level of professionalism, honesty and integrity whilst being highly efficient and organised. Her work ethic and high standards are unmatched in today’s marketplace. Neat, New and Available Now! Brand New in Thornhill Park! It's the one not to be missed! Light, Bright & Neat as a Pin! Oh how I love thee Eynesbury! Family Home In the Zone. RGZ1! Brand New in Peppermint Grove! Act now - Titled Land! Side by Side - Titled Land!